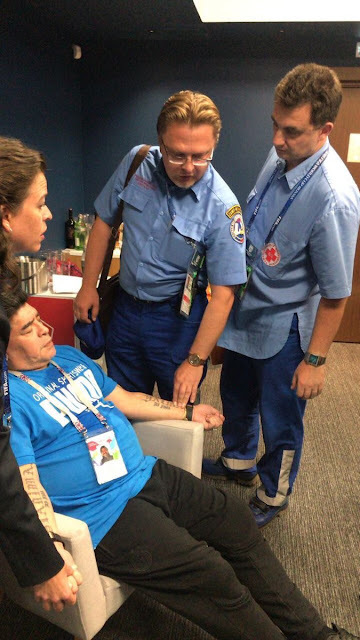 Argentina legend Diego Maradona has been taken to a hospital on Tuesday after Argentina’s dramatic 2-1 win over Nigeria at the 2018 World Cup. 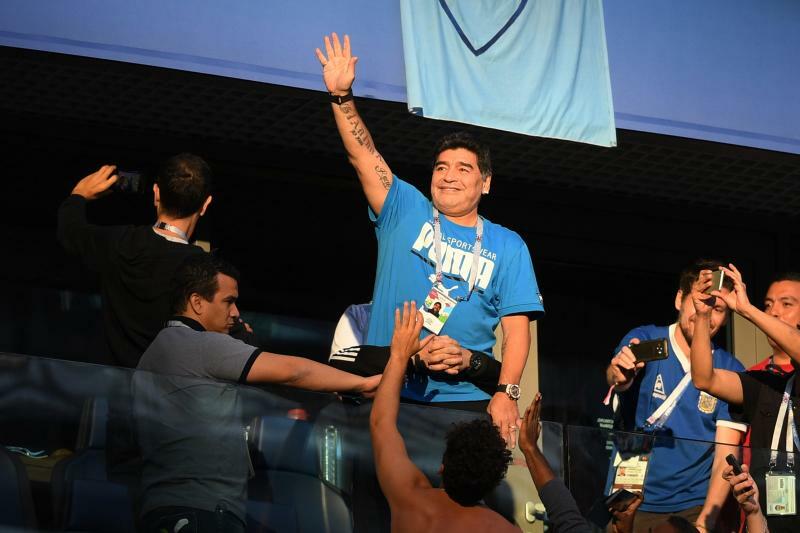 Maradona, arguably one of the best football players, acted unsteady during the match, as he danced with a Nigeria supporter before the match, fell asleep during the first half and celebrated Marcos Rojo’s 86th-minute winner with a middle-fingered towards Nigeria section in the stand. The 57-year old was seen being helped from his seat at the Stadium, before crashing into a chair inside the St Petersburg Stadium. He was attended to by Russian parademics and moved to a local hospital later.